Chidinma Inspirations: Ladies, How Will You Style This Dress? Ladies, How Will You Style This Dress? Every lady needs a black dress in her closest likes we earlier inspired here on a must have in every girl's closest. On this blog, we have always inspired our queens (girls/ladies/women) on how to dress to look and feel like the Queen that they truly are. So today, you will be putting those inspiration in practice. *Smiles* Now imagine you have a wedding to attend and this dress is the outfit you will be wearing, how will you style it? 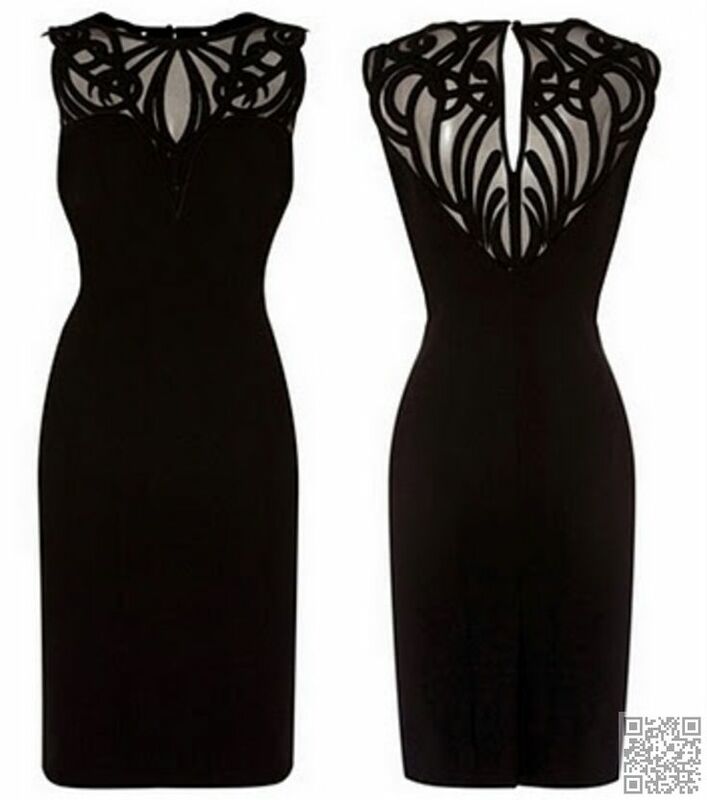 necklace is a NO (Note that you can wear a necklace on a high neck dress but this type of high neck dress that already has a design on it is really a NO wearing one). I see myself wearing a statement earrings, a bold lip gloss/stick (red or pink), a cat eye, a chain bag and a open toe sandal or a pointed toe pump....I am not really a fan of bangles so a lovely wrist watch will be just fine. I hope you loved what you saw and you were inspired by them? Please share with others to inspire them too. Do you want to get inspired by more posts on fashion? Please do search this blog on this blog's search engine with the hashtag fashion e.g #Fashion I hope you love and get inspired by what you find. As for me....with my cornrow braids on I would wear a gold necklace with a gold earring ...along side a green blue pink or basically any colour of shoe and bag (both have to be disame colour) ......plump heels then ....makeup!! !......Red detailed lipstick! I forgot to add a neatly styled hair. I would rock it with a red stilettos, red purse and an emerald neck piece.